A while ago you may remember I asked if anyone would like a guest spot on my blog. 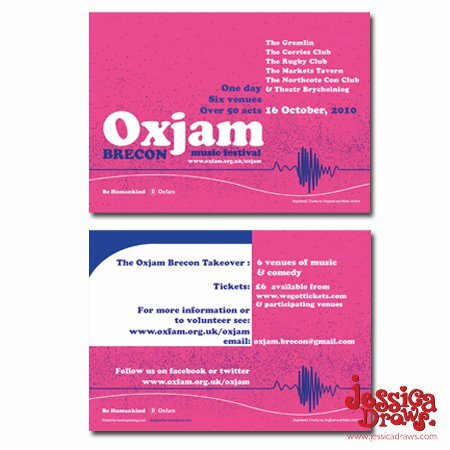 Well Jessica Donnan, a graphic designer and illustrator in Cardiff, very kindly offered to answer a few questions and be featured here on my little ol' blog. Jessica is part of the Waviograves Collective who are "a cheerful bunch of creatives offering a full range of design, web, and editorial services with an individual, tailor made approach built around your requirements"
Here's the Q&A's below, I hope you enjoy reading, I think it's fascinating to find out what makes fellow creatives tick! Who is Jessica? Can you tell us a bit about yourself? I am a graphic designer and illustrator based in Cardiff. I love films, books and anything to do with the outdoors, as long as it's sunny! What is your line of creativity? I'm primarily a surface pattern designer and I illustrate for cards and things. But I trained in Graphic Communication so I've got a strong interest in Branding and advertising. I love logos and I'm a bit nerdy when it comes to seeing things out and about and analysing them. 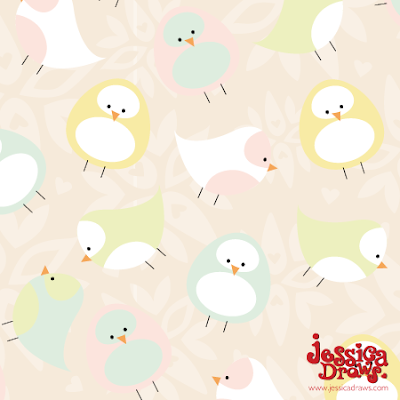 Some of Jessica's Surface Pattern Designs, aren't they lovely? Are you self taught or college/uni trained, and has this informed the way you work? I'm college trained. I did my Graphic Communication degree at UWIC in Cardiff. To be honest, the course wasn't great and I've learnt my most valuable skills and lessons since leaving. Living and working in the real world really makes you learn fast to keep ahead of the game and be successful. Can you describe your style of work? 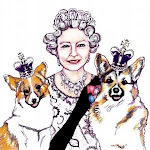 When it comes to my illustration style, I love all things whimsical. I seem to have fallen into specialising in children's designs so I'd describe my style as young, playful and cute. I love drawing birds and owls. 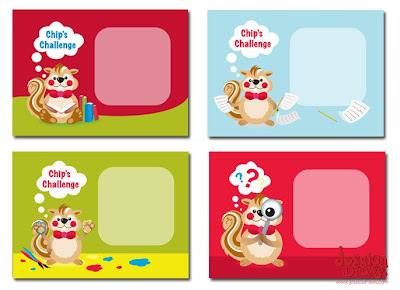 I'm also really getting technically good with textures in photoshop so I'm in the process of doing some furry creatures for some children's home ware designs for an agency. Who and/or what influences you and your work? I'm not really fixed to a person or company or style that I like to be honest. I'm pretty easy going with everything in my life really, films, food, books, design. I like a lot of things that are different from each other. One thing I do every morning though to start the day off right, is I browse Print and Pattern Blogspot for inspiration. It's like going out shopping and seeing all the new things that are in the shops but I can do it from my desk in half an hour. I love it, it really gets my creative juices flowing. Who is your favourite creative? As I said I don't tend to have favourites. But, although he's not neccesarily who I should be looking at as a surface pattern designer. Tim Burton, really is who I most admire creatively. I love his sketches and his vision for how things are. It's really very exciting to me. In another life or if I'd had more opportunities when I was in school, I would have loved to have been involved with stop motion animation. I love clay modelling and it fascinates me how little, beautifully designed and painted models are transformed into personalities with a life and a story of their own. Well I'm lucky enough to be doing it now pretty much. 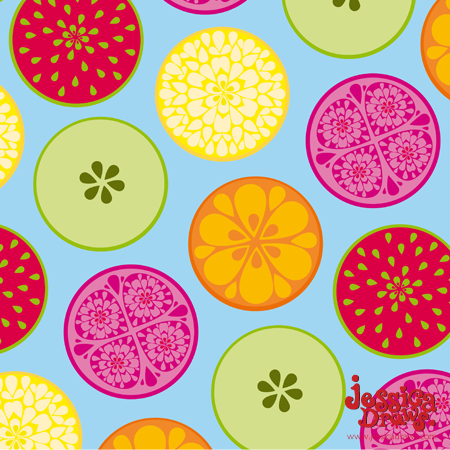 I'm a freelance surface pattern designer and illustrator. I'm also one half of Waviograves Creatives in Cardiff, doing branding and web design and whatever else we can get our hands on. It's a pretty busy existence. The only thing I would change perhaps is the environment. I'd love to travel and work in different places. Preferably some place hot! Can you name one thing about yourself that is unique or surprising, that people wouldn't be able to tell about you unless you told them? Umm...I speak fluent Welsh. Which I guess is a little unique as it's not all that common. A perfect day would be a sunny day, walking on a beach with my dog and my boyfriend. Nothing specific just a really slow relaxed day. maybe stop at a country pub on the way home, walk a bit more. Talk. Simple things. Do you have any pets and if so what/who? I don't have any pets at the moment. We really would like a dog but we need to make sure we can give it the time first. My boyfriends really into tropical fish so we are planning on getting a tank at some point. My mum has horses too so when I lived at home I did quite a bit of riding but not so much anymore. I kind of miss it. Do you smile a little or a lot? What time were you up till last night and why? We were up until around 11 because we went to see X-Men first class. A secluded beach in Thailand. Book you would recommend everyone should read? Terry Pratchett's Discworld novels. Really funny and brilliant! 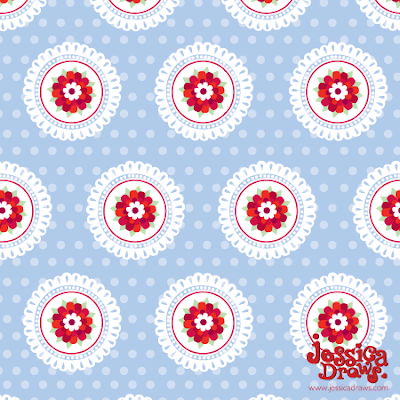 You can have a look at Jess's website here and don't forget to look out for my answers to the above coming soon on the Waviograves blog!